McLarty Nissan of Little Rock is known throughout nearby Cabot and Conway, Arkansas as the dealership to turn to for new, used and certified pre-owned Nissan vehicles for sale at affordable prices. 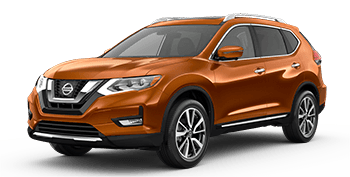 We invite Arkansas drivers from near and far to shop our extensive selection of Nissan cars, SUVs and pickup trucks online, then visit us for a test drive and to finalize a hassle-free lease agreement or financing process for a new Nissan. From the latest version of the top-selling Nissan Rogue SUV and Altima sedan to the rugged Titan and Frontier pickups, McLarty Nissan of Little Rock has your new Nissan model of choice in a variety of configurations, ready to be explored during a visit to our Little Rock, AR dealership. Whether you are visiting us to trade in your car for a new or pre-owned Nissan or returning for professional auto maintenance, you can enjoy driver-friendly prices on all of our vehicles and automotive services. Our staff is committed to service excellence; we employ highly trained and knowledgeable team members to ensure you get the answers you seek and the stress-free shopping experience you deserve! We are a preferred destination for Arkansas drivers to have all of their Nissan finance, lease, service and parts needs met, so contact us or stop by our dealership in Little Rock, Arkansas today! What new Nissan model has caught your attention around Little Rock or Cabot, AR? 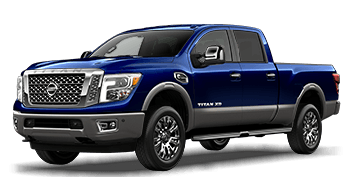 From the affordable, value-packed new Nissan Versa to the full-size Titan pickup, you will find that McLarty Nissan of Little Rock is home to a stunning selection of brand-new Nissan models at competitive prices. Our Nissan sales associates are here to assist in your search, from setting up test drives to taking you on guided tours of our inventory so that you can explore a range of Nissan models that may fit your lifestyle and budget. Browse our new car specials and current Nissan lease offers online as you shop for your ideal new Nissan! At McLarty Nissan of Little Rock, you can enjoy the peace of mind of a quality-built vehicle, no matter if you purchase new or used. We stock our used car inventory with hundreds of late-model used cars, trucks and SUVs from Nissan and other popular automakers, ensuring that our Conway, AR area customers have plenty of choices when shopping for an affordably-priced ride. 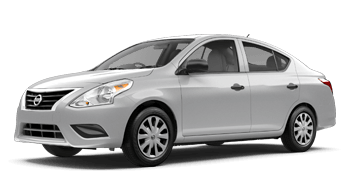 Do not forget to see our used car specials and shop our inventory of used and certified pre-owned Nissan vehicles by price, mileage, year or model. Experience quality at a driver-friendly price when you shop pre-owned at McLarty Nissan of Little Rock! New Nissan and used car shoppers from Cabot & Conway, AR can count on the finance staff at McLarty Nissan of Little Rock to provide trouble-free financing and lease options. Our finance department provides affordable finance solutions for drivers of all credit levels, including used car buyers with less than ideal credit scores! You can even get pre-approved for financing online in minutes, thanks to our convenient online auto loan application. 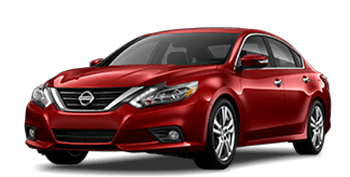 Take a look at our Nissan lease and finance offers now as you shop our website for your next Nissan Altima or Rogue Sport. As a dedicated Nissan dealership serving Little Rock, Conway, Cabot and beyond, local Nissan drivers can turn to McLarty Nissan of Little Rock for all of their auto maintenance and repair needs. The expert technicians in our Nissan service center are factory-trained and hold various certifications for automotive service excellence, so no matter what make of car you drive, take it to our team! We are ready for your Nissan's next brake tune-up, tire rotation, oil change or other maintenance needs, so do not hesitate to book a service appointment online or contact our service staff now. No matter what Nissan model you drive, it deserves genuine Nissan replacement parts. At McLarty Nissan of Little Rock, we stock our in-house parts department with a range of competitively-priced items that help keep your Nissan running smoothly. From air and oil filters to brake pads, lighting and wiper blades, you'll find all the components and accessories your Nissan Rogue could ever need here! Our Nissan parts specialists are available for assistance; you can also utilize our convenient parts request form to order Nissan items online. Our modern Nissan dealership makes it easy for you to not only shop for a new or used car from the comfort of your Arkansas home, but also secure financing and see what your car is worth -- all before visiting us in Little Rock! We know that today's car shoppers are looking for a convenient and hassle-free way to buy a car; that is why we offer so many online resources. So go ahead, shop and compare our selection of new Nissan and used cars for sale, then contact our staff with any questions. We are here to serve you and are committed to your satisfaction!